Civil nuclear power is electric power generated in a nuclear reactor. Nuclear power stations work in the same way as a conventional fossil fuel-burning stations. The main difference is the fuel. Nuclear fuel is typically uranium-based rods, instead of coal or gas. 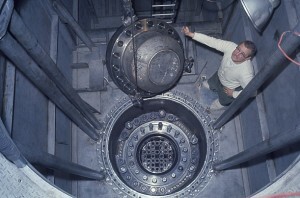 The nuclear reactor uses a “nuclear reaction” (splitting the atomic nucleus bonds to release energy) as opposed to a fossil fuel’s “chemical reaction” (ie splitting of carbon-carbon molecular bonds) to generate heat; neutrons smash into the nucleus of the uranium atoms, which split roughly in half and release energy in the form of heat. On a miniscule level inside the fuel we observe an exothermic (exo = giving out; thermic = of heat) chain reaction, producing significant amounts of heat. The fuel generates heat, then carbon dioxide gas is pumped through the reactor to take the heat away, and this hot gas then heats water to make steam. The steam is pushed through pipes at a pressure strong enough to drive a heavy turbine round, and it’s axle spins a generator in a magnetic field to create the electricity for distribution. The energy conversion is from atomic, to mechanical, to electrical. Each step in energy conversion involves some dissipation by way of friction etc. with respect to the end purpose, which means that steam power plants will only ever work with an energy efficiency of, at highest 40%, similar to wind turbines and solar cells. Modern nuclear power stations use the same type of turbines and generators as conventional power stations. Although not much waste is produced, the residual radiation so dangerous that it requires very specialist handling for years to come. Nuclear power is generated using Uranium, a metal mined in various parts of the world. 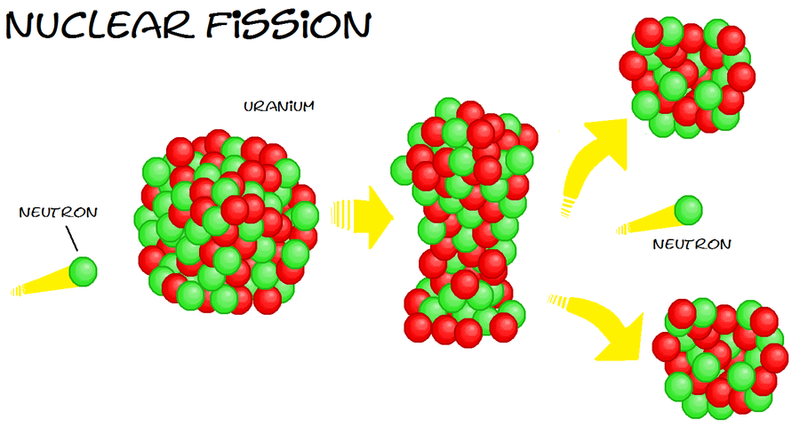 The first civil nuclear fission reactor had to be based on uranium-235, because no other fissile material exists in nature. As an electricity source, civil nuclear power has been viable only in the last 60 years and currently supplies 11% of the world’s electricity needs. It must be stressed that the process and technology to produce an atomic bomb is now very different from the production of civil nuclear power. However, the origins of the first nuclear power plant for electricity, was effectively a by-product from the production of man-made plutonium used in nuclear arms, during The Second World War. “it is important to distinguish the military use of nuclear materials from their peaceful use” (-Wade Allison, Radiation and Reason). 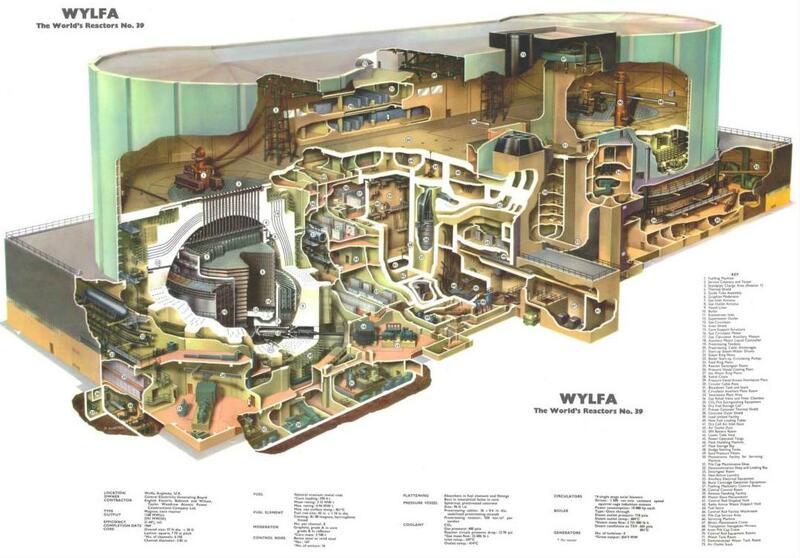 Some military ships and submarines have nuclear power plants for engines. The People’s Republic of China has initiated a research and development project in the use of thorium fuel instead of uranium, which has potential safety and economic advantages, despite significant design challenges. Up-to-date information on Nuclear Power in the UK, can be found via the World Nuclear Association.